“Kitchen Table Blues Vol. 2” is a selection of five tunes from The Reverend Shawn Amos’ 2016-17 YouTube series of the same name. 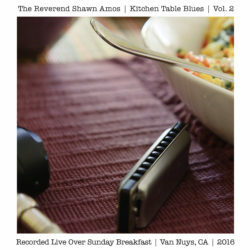 Recorded live in his California kitchen, The Rev is heard reinventing his favorite songs in his own trademark “joyful blues” style. The Rev cooked and sang songs at his kitchen table over 90 Sundays. 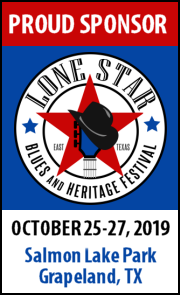 During that time, he was visited by Mindi Abair (who produced his 2015 release, The Reverend Shawn Amos Loves You) famed soul singer, Charles Wright, L.A. blues singers, Lester Lands and Jean McClain, and New Orleans brass band, The Mudbug Brass Band among others. Here, Amos shares stories behind the songs on volume two. I know it may be a sin, but I have never been a fan of the modern version of “Sweet Home Chicago.” It veers too close to bar band blues for me. Johnson’s original, however, is one of the most plaintive tunes around. Like all his stuff, it’s so lonely and haunting. 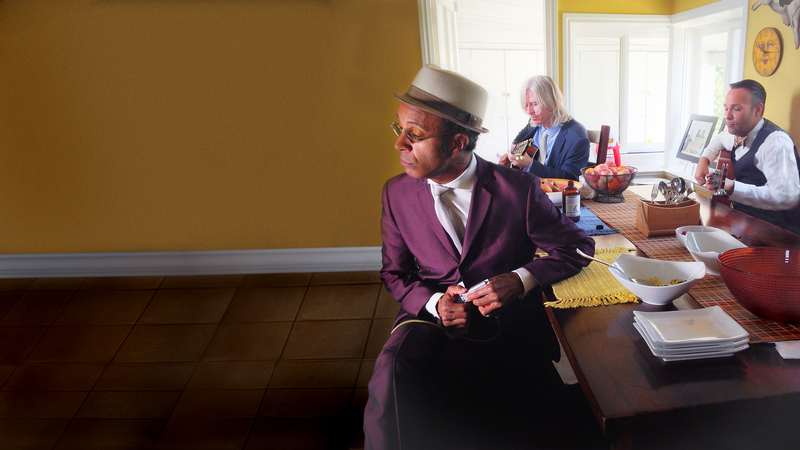 We had to record Robert Johnson in the kitchen. Sister Jean McClain makes it all the much sweeter. She was our first guest in the kitchen. I discovered her singing backing for Hugh Laurie. She has such a light. 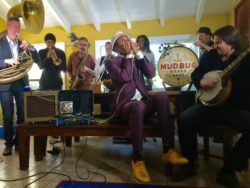 I’ve known the Mudbug Brass Band awhile. After four years of having my head in the Chicago blues sand, they pulled me into the Crescent City. I always love playing with them. 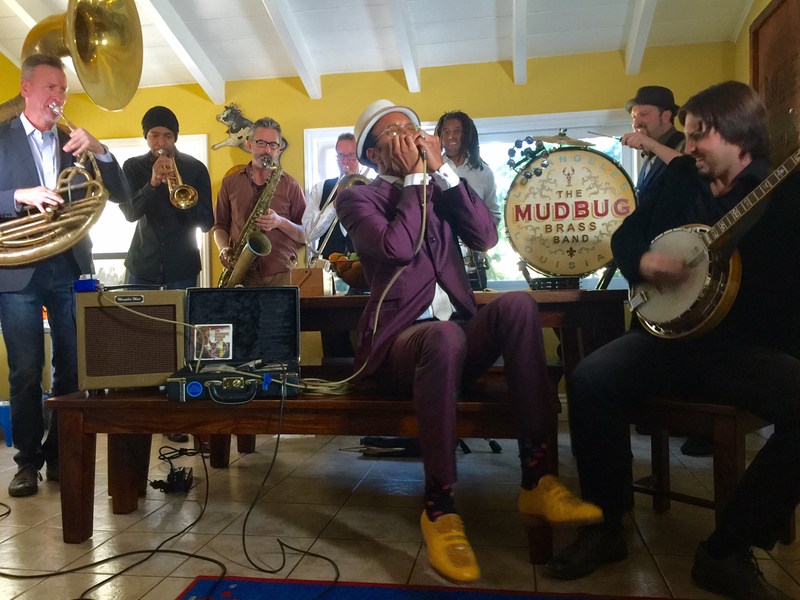 This set a record for most musicians in my kitchen at any one time. Mindi and I sang this on the Loves You album. There’s actually a fun music video of the studio version of this song. Mindi is family. We both started our blues journeys together. I’ll always be in her debt. One of my first concerts was Pablo Cruise. Not the proudest of moments, but this song always stuck with me. My dad had offices on the A&M Records lot where Pablo Cruise was signed. I use to get free vinyl and this album was part of my pre-teen collection. It’s funny what crawls out of your subconscious when you’re at the kitchen table, My friend, Allen Larman, introduced me to Lester Lands who appeared in my music video for “You’re Gonna Miss Me (When I Get Home).” He is so smooth. So much fun to have as a duet partner. Lester also sang a bit on my Breaks It Down album. This is one of my happiest moments as a musician and, more importantly, as a dad. Piper is my oldest. There was a time when I thought she might follow in the family trade. Thankfully, she got smart. She enters BU this fall as a pre-med student. She still has some vocal chops though.